Shawn Lalezary - California - Book a consultation instantly! 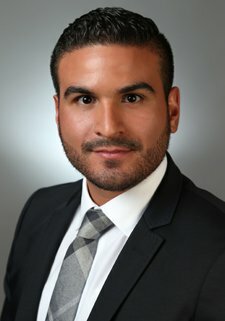 As a graduate of the University of Southern California, Southwestern Law School, and the Los Angeles County Sheriff’s academy Mr. Lalezary has a unique perspective of the law. Mr. Lalezary has made personal injury litigation not only his focus, but his passion. While in school, he devoted a great deal of his studies to tort litigation and negotiation tactics, earning distinction as one of the top negotiators in his class on the Law Negotiation Team. 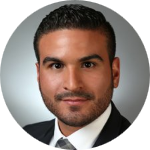 While in law school, Mr. Lalezary worked at a Beverly Hills law firm that represented plaintiffs in personal injury matters. He included among his routine tasks including drafting and responding to pleadings and dispositive motions; taking and defending depositions including witness preparation; managing all facets of written and electronic discovery; drafting and responding to discovery requests and developing a strategy to resolve disputes with opposing counsel; participating in settlement negotiations, and oral arguments. As a certified extern with the Los Angeles County District Attorney’s Office, Mr. Lalezary had the chance to argue live and on the record in criminal court where he questioned witnesses, who were frequently police officers, and he made many oral arguments to persuade the court to move from a preliminary hearing to trial. In addition to being a dedicated personal injury attorney, Mr. Lalezary is a patrol deputy for the Los Angeles County Sheriff’s Department. As a deputy assigned to West Hollywood Station, Mr. Lalezary has responded to and attended many traffic accidents, including both fatalities and collisions with significant bodily injury. His training, beginning with the Sheriff’s Academy through his on the job training, has given him the ability to make determinations of fault while writing police reports for the Los Angeles County Sheriff’s Department. His duties as a police officer have resulted in his having to testify many times in court. All of these skills have given him a unique perspective and a distinct advantage in advocating for his personal injury clients. It is because of these skills that he makes the outstanding personal injury attorney he is today. He has a unique, well rounded view of accident situations that others in the legal profession may not. This means he knows exactly how best to advocate for you to get you the settlement you deserve.